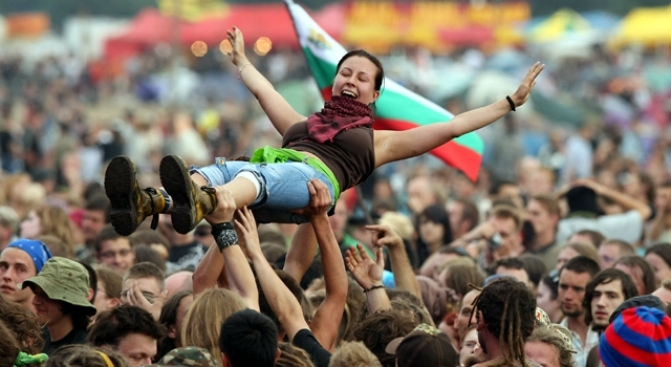 This was the scene at the three-day International Woodstock Festival last year in Poland. With any luck, such scenes might play themselves out in Central Park this year. Aug. 15 will mark the 40th anniversary of the legendary Woodstock music festival, a so-called Aquarian Festival, "three days of peace, love and music." Could there be a reunion concert to mark the musical milestone in Central Park? It's one of many outdoor spaces around New York City are under consideration. The Times of London reports Woodstock's original organizer, Michael Lang, is trying to put together an anniversary concert. Talks have opened with The Who, Santana, Crosby, Stills, Nash & Young, The Dave Matthews Band and the Red Hot Chili Peppers to perform. A 30th-anniversary concert in 1999 ended in riots over the over-commercialization and high prices at the event. That's a far cry from the original event in 1969 near Bethel, New York, where it turned into a "free concert" after being overrun by about 400,000 spectators. Even if no reunion concert materializes, the anniversary will be marked in other ways. Director Ang Lee plans to release a new film called "Taking Woodstock," about the person who helped facilitate the use of Max Yasgur's farm after the original site of the event was blocked. A four-hour director's cut of the concert film "Woodstock" will be released, along with a six-CD box set of Woodstock performances.